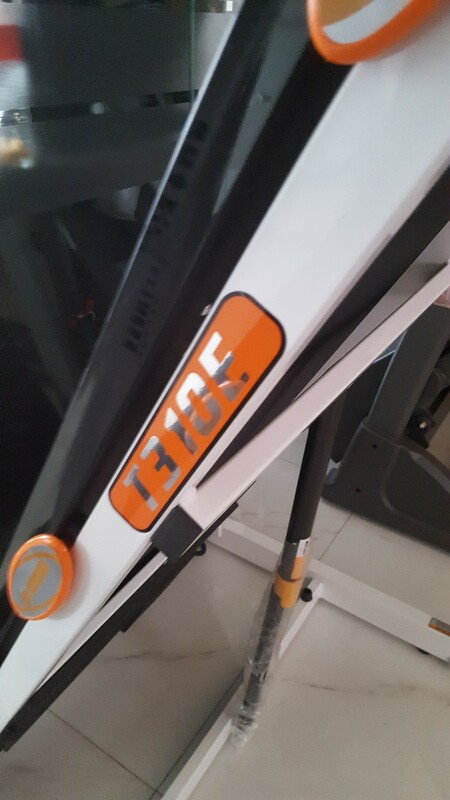 If you owned a gym or fitness center and looking to expand your gym horizon with different exercise machines, then you don’t have to look anywhere else as the official franchise of the Telebrands PAKISTAN has brought a new and unique product of its kind that you will definitely appreciate as the American Fitness Treadmill T310E. The American Fitness Treadmill T310E, as the name clearly indicates, is a premium quality treadmill machine designed to offer the simplest form of exercises to the user as walking, running, jumping and climbing. The American Fitness Treadmill T310E is equipped with 2 Horse Power motor that can easily support maximum body weight up to 100 Kilograms in total. The American Fitness Treadmill T310E is equipped with easy to read LCD display that shows different exercise related readings to the user as the Time, Speed, Distance and so on. The machine features speed from 1 Km/Hr to 14 Km/Hr and it has a total running area of 420 x 1200 mm in total. As far as the inclination angle is concerned; the machine features 3 levels manual elevation. 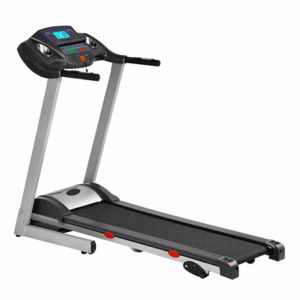 The American Fitness Treadmill T310E features board thickness up to 15 mm and it has a belt thickness up to 1.4 mm. 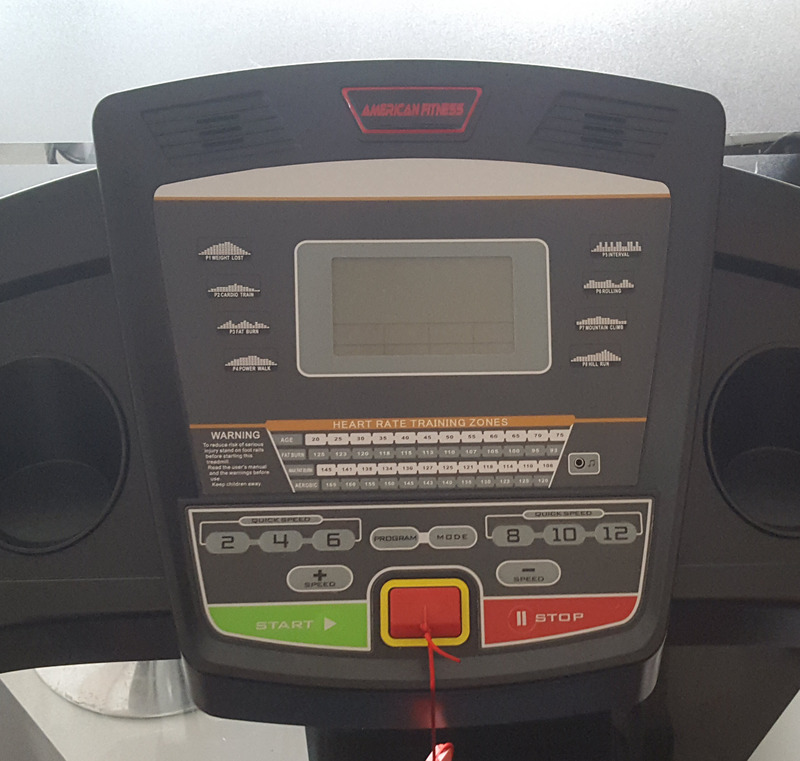 As far as the multimedia options are concerned; the American Fitness Treadmill T310E features the standard 3.5 mm headphone jack that allows the user to listen to their favorite music by connecting their favorite MP3 player or Mobile Phone. 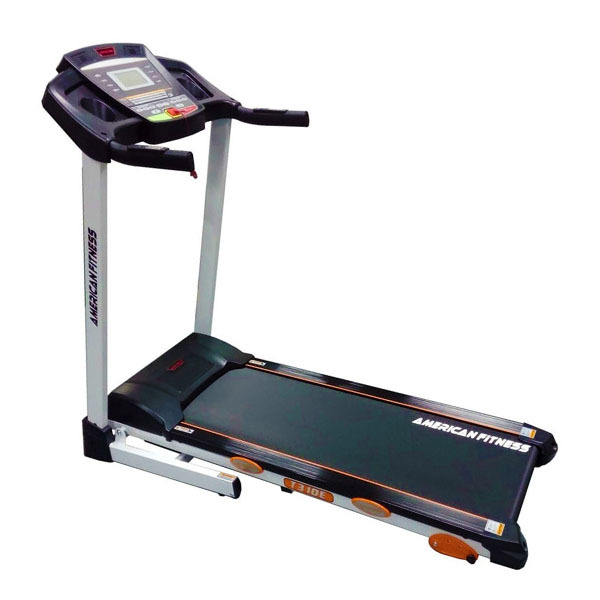 The American Fitness Treadmill T310E is presented to you by the official franchise of the Telebrands PAKISTAN. If you want to purchase this unique quality product, then all you have to do is to make a call at the number 0333.4115583 from your mobile or landline number. 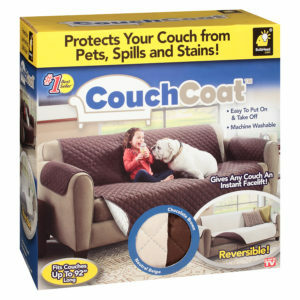 Our online shop is regularly upgraded to furnish you with the most recent version of the products and gadgets. Visit our web journal to keep you updated with the latest news. You can also check our blogging section for online shopping innovation. Stay in contact with our devoted customer service department by using the helpline at 0333-4115583. You can also send your queries, orders and suggestions at Order@telebrand.com.pk.